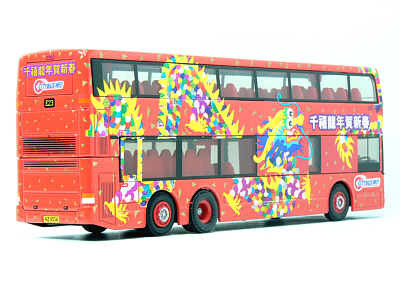 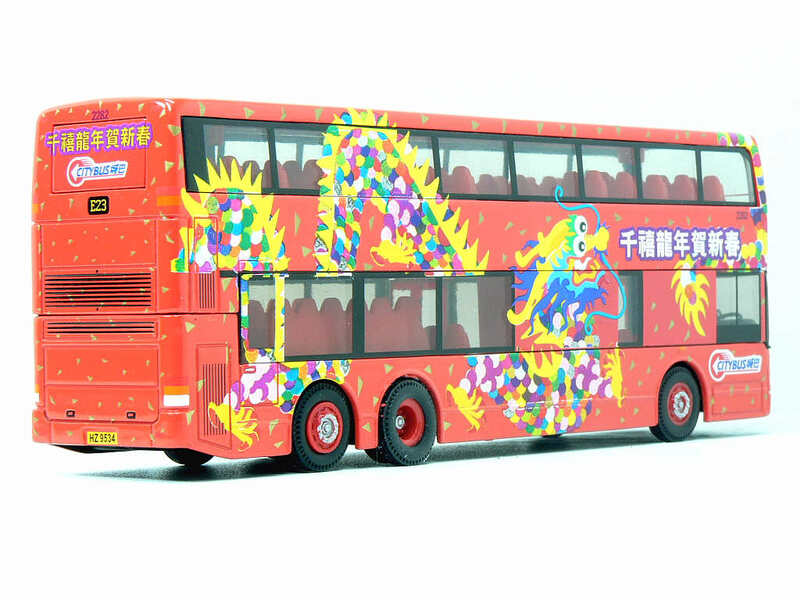 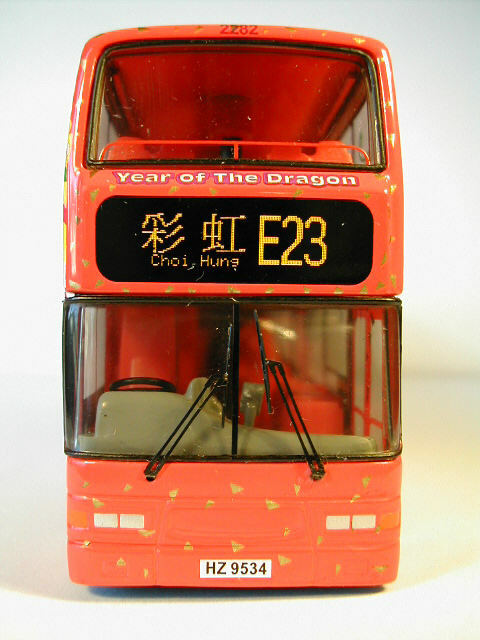 The model - The Citybus "The New Millennium Year of the Dragon" liveried Dennis Trident, with Duple Metsec bodywork, was released in Hong Kong on Monday 10th April 2000. 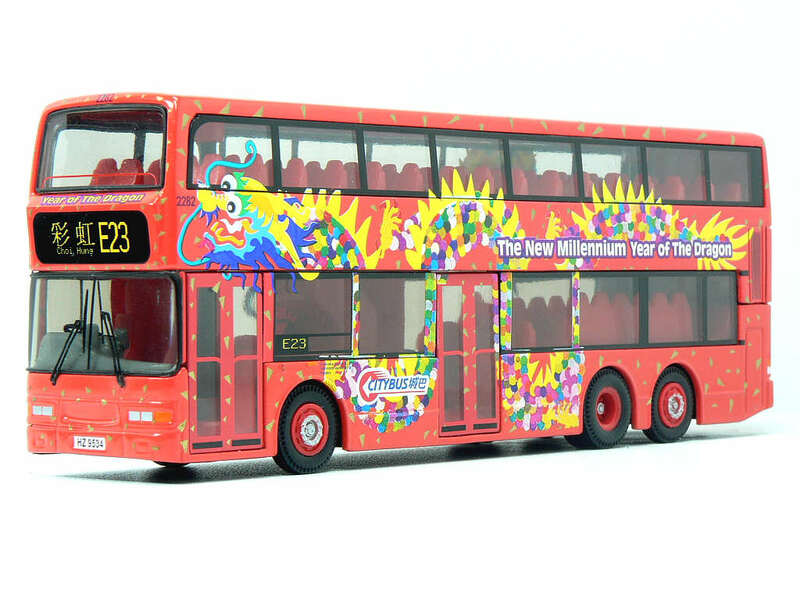 The model has a revised interior from previous Trident/Metsecs, as these buses have a centre mounted staircase, so Corgi have modified the seating and staircase position, plus it now has an Octopus machine as well. The revised windscreen/glass section also has a split windscreen with vertical wipers rather than the previous one piece. 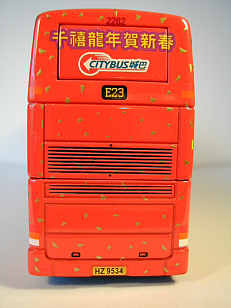 I am grateful to Citybus for providing the above information. 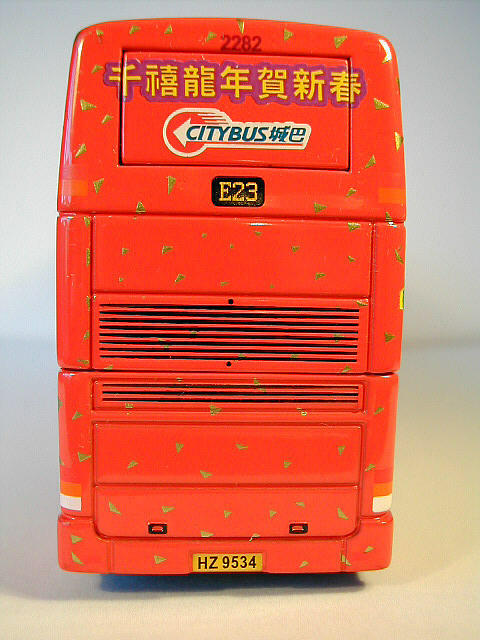 The bus - when the new Hong Kong International Airport opened on 6th July 1998, Citybus introduced a network of routes using the CityFlyer brand name, to connect the new airport with Hong Kong Island and Kowloon. 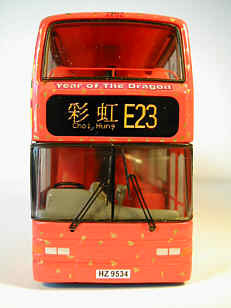 Fleet No 2282 is one of over 150 Duple Metsec bodied Tridents purchased to cater for these extra services. 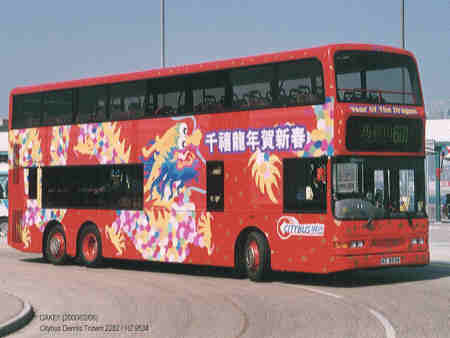 It entered service on 4 March 1999.